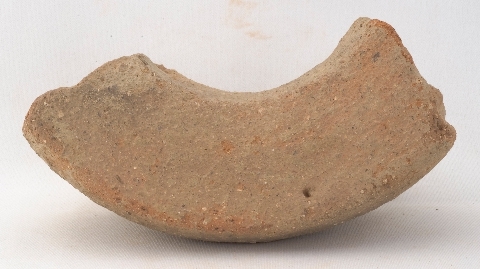 Description Fragment preserves a portion of the base of what may be a forno. The base is hollow and has thick walls. On the inside there is a rough, wide groove just above the foot of the base. On the outside, the base is bevelled at the bottom and then rises up at a sharp angle.